Chinese Coins have always been a popular symbol of wealth and prosperity. Described as being “square within and round without,” these coins have been used as metal currency from the T’ai Kung in the 11th century B.C.E. The square in the center represents the energy of the earth, while the circle represents the Chi of heaven. Their special shape combines the two elements, which represent the powerful union of heaven and earth; and when used by humans, they represent the cosmic trinity of the luck of “Tien-Di-Ren,” meaning “Heaven-Earth-Man”. Combined, they drive the power of wealth luck, and when energized with a red/gold thread, Yang energy breathes precious life into them, transforming them into powerful emblems of wealth and prosperity. These auspicious coins are also widely used as amulets for protection against physical harm. Carry these powerful gold coins in your bag or hang them up behind you to see an endless flow of good fortune coming your way! These wonderful gold coins bring ultimate happiness to a marital union as well as endless money luck. The image of the celestial Dragon and Phoenix on the other side of the coin symbolize a happy marriage that is blessed with success and prosperity as well as filial chilidren. 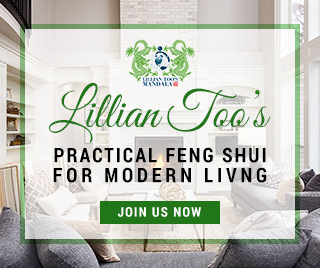 On the other side are the characters “Zhao Chai Jin Bao,” meaning “Your Wealth Has Arrived.” They make excellent gifts to couples, and are especially good as wedding gifts. Carry them with you or display at home or in the office in your Sheng Chi location. These special Pa Kua coins provide powerful protection as amulets, apart from bringing good fortune. They combine 2 potent symbols of protection: 8 trigrams of the Pa Kua and 12 animal signs that represent the earthly branches. To keep your family (especially children) safe from evil influences outside the home, attach this protective coin to the doorknob on the inside of the house or room. Ensure that the side with the 8 trigrams is placed flat against the door while the side with the 12 animal signs faces you. Apart from bringing abundant good fortune, these special gold coins can also provide powerful protection as amulets. These protective coins combine two potent symbols of protection: the 8 Trigrams of the Pa Kua and a Taoist Mantra. Hang them behind you at work to ensure protection and support for your business. Place above the front door of your home or attach to the inside doorknob to protect your family from harmful influences outside the home. The side with the 8 trigrams should be placed flat against the door or wall while the side with the taoist mantra should face you. Apart from bringing abundant good fortune, these special gold coins can also provide powerful protection as amulets. The image of the celestial Dragon and Phoenix on both sides of the coin symbolize a happy marriage that is blessed with success and prosperity as well as filial chilidren. On the other side are the characters “Sheng Zhi Jing Pai,” meaning “Emperor’s Decree Gold Medallion.” Hence, the bearer of this powerful coin amulet will always be protected against all malign influences. These gold coins also offer powerful protection for all those who are involved in high-risk investments. These gold coins represent the reign of the powerful Emperor Chien-Lung, which was considered one of the most prosperous periods of the Ching Dynasty. During Chien-Lung’s illustrious 60-year-long reign, China was at its richest and international trades were most prosperous. The country was at peace and the wealth of the nation was phenomenal. This is represented by one side of the coin with the characters “Tien Xia Tai Ping,” meaning “Peace on Earth.” Hence, coins from the reign of Emperor Chien Lung of the Ching Dynasty are considered to be the most auspicious. Hang them behind you at work to ensure the solid financial luck and support of Emperor Chien Lung for your business. 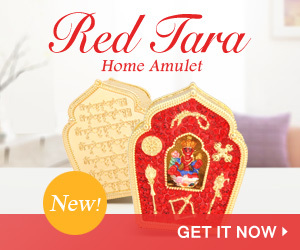 Display them above the front door to attract wealth luck and good fortune into your home. These six gold coins represent the prosperous reign of the first six powerful Chinese emperors of the Ching Dynasty: Shun-Chi, Kang-Hsi, Yung-Cheng, Chien-Lung, Chia Ching, Tao-Kwong. Secured with the mystic knot, they represent endless wealth luck. Six is also the number which represents the trigram Chien, which brings luck from heaven to empower you. Hang them behind you at work to ensure solid financial luck and support of these six emperors for your business. Display them above the front door to attract wealth luck and abundant good fortune into your home.